We have already covered an article on PUBG Mobile 0.12.0 Beta update which was released a couple of days ago. Pubg Mobile has partnered with Resident Evil 6 to bring a Zombie mode into the game. The new mode named as PUBG Mobile Darkest Night mode where players can play solo or as a squad to kill zombies and resist poison gas for 30 minutes to escape. 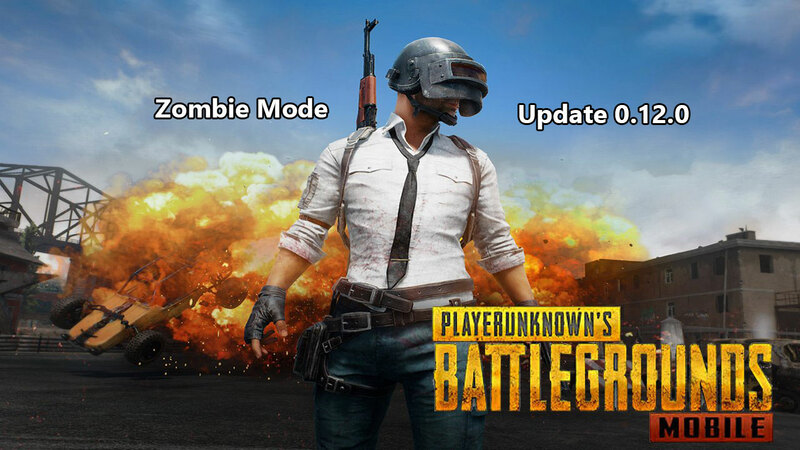 The good news is that now you can download PUBG Mobile 0.12.0 Update file from here easily. The Pubg Mobile 0.12.0 update is expected to roll out by next week officially. But if you’re intended to taste the new update with new features, you can download the OBB file or APK file for 0.12.0 update. It replaces the Events mode. Survive Till Dawn mode is also out there. Darkest Night. Stay alive for one night while fighting with zombies and zombie dogs. Whether you’re a single or squad player, in the morning you/your team will win if survive. Take a companion into battle. Enemies will not be able to see them, so there is no exposure risk. Earn Companion EXP by taking them into battle, and level them up to unlock Companion emotes. Stun Grenades now also stun zombies. Added Liquid Nitrogen Grenades to freeze enemies and reduce their movement speed. Added jumping zombies and zombie dogs. Some zombies can now climb over low walls or onto the roof. Added RPG-7 and Jungle Style Magazines. Flamethrowers now deal more damage. M134 handling has been tuned. Zombies now move slower after being hit by fire-arms. Hair was not displayed correctly when equipping certain headgear has been fixed. Fixed a bug where Season 6 Pants caused graphics glitches in certain footgear. Fixed a bug where doors were not displayed properly. Players may get stuck in buildings in certain areas bug fixed. You can download the Pubg Mobile 0.12.0 APK file on your smartphone right now by from below for both Android and iOS devices.